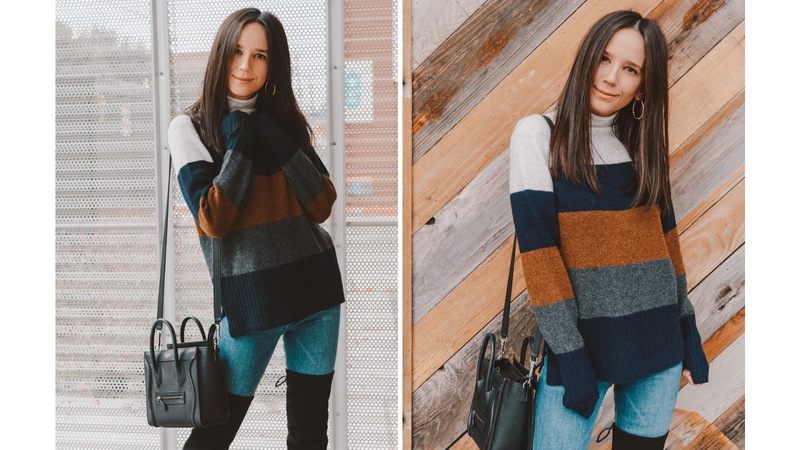 If you like to read my blog, you already know that I love a good sweater so I wanted to put together the best sweaters that are under $100. One of my current favorite sweaters is this Madewell one. I've been wearing it non stop! It's seriously the best! I am not just saying that. It's super soft and cozy. Also, an amazing price. Plus, it's 25% off. I love the fit is perfect. A definitely must have for winter! Perfect with some jeans and knee-highs. This is a side note, but my favorite knee-high boots are currently on sale! I'll link them below as well.